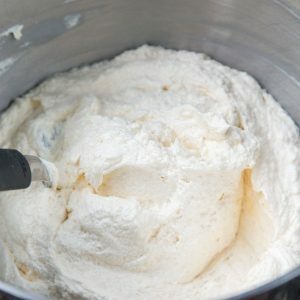 Add 1 teaspoon of vanilla extract or emulsion to the whipped butter. Now add the sweetened condensed milk or dulce de leche in thirds, whipping for about 5-10 seconds after each addition. Don't forget to scrape the bottom of the bowl after each addition.